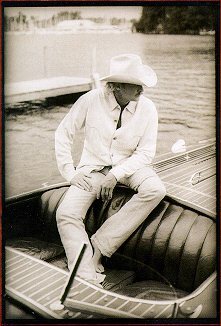 Like Hank Williams in the `50s, Merle Haggard in the `60s, John Anderson in the `70s, and Randy Travis in the `80s, Jackson stands tall today as a beacon for the simple truths and homespun values that have always been the very heart of country music. He's also that rare performer who's learned to enjoy his success without ever letting it get the best of him. 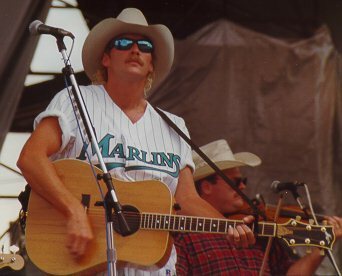 There is an easy going confidence about Alan Jackson. It is the humble demeanor of a blue-collar gentleman raised in the rural South that reveals itself in his mannerisms as well as in his baritone drawl. In an age when people buy flashy cars to impress total strangers on the highways of life, Jackson bears the sensibilities of his Newnan, Georgia hometown that say the only opinions that matter are those of the folks who know you best. There is no trace of the swagger one would Expect from a recording artist who has sold over 21-million albums, won several dozen awards and performed at countless standing-room-only shows.